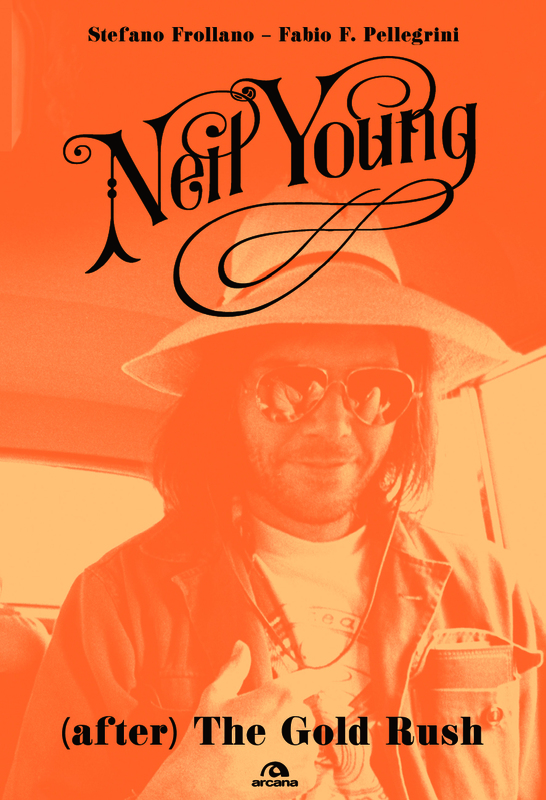 A new book has been published in Italy titled NEIL YOUNG: (after) The Gold Rush by Stefano Frollano & Fabio F. Pelleg. Seventy years after birth, Neil Young called still time. Author, singer, guitarist, activist, musician seal year after year, with the vehemence that has always distinguished, albums and concerts, charitable activities and studies on the sound, invectives against the corporations and ecological solutions. A complete artist who Stefano Frollano and Fabio F. Pellegrini observe and study re-reading the history of American music in a journey that starts from Canada to land in California, land dreamed of as the New Heaven: so that the gold rush of 1849 is its recreation during the sixties of the last century, when dozens of musicians will leave for the "Golden State". The unspoiled nature, Native Americans, a new Promised Land become the elements where to measure themselves, transforming the Frontier from a physical to a non-place where imagination and fantasy become more boundaries to reach. The two authors attempt also to verify the interesting hypothesis of the link between the painting of the nineteenth and twentieth centuries with the work of Young, which has its roots in cultural humus. The Squires, Buffalo Springfield, CSNY, Crazy Horse and other protagonists of the Canadian singer-songwriter found space in this saga that continues to inspire new generations of musicians worldwide. The book includes some unpublished images in Italy by Henry Diltz (book cover and others), Nurit Wilde, Ken Koblun, David Zimmer and others, By an accurate discography, a chronology of the concerts from 1961 to 1978 and an exclusive interview with Ralph Molina, the legendary drummer of Crazy Horse and with the great artist and Neil's friend, James Mazzeo. Bachelor of Arts with specialization history, he is expertise, author and musicologist. He worked at a number of radio stations (Radio Macondo, Radio Music Center, TRC). Thrasher - needed to say - EVERY time I've listened to "When I Watch You Sleeping (Solo)", I've cried, hard. Its such a pure heartfelt song from Neil, none closer to the heart, from the heart. Love, and all that has been enjoyed and regretted, in one beautiful potent song. To me, this is what its like to have Neil's music in my life, to get it and resonate deeply, to the point of giving me more life than I could possibly have experienced without his soundracks to make life even more beautiful and real than it would have otherwise been. His music gets to me; and none deeper than "When I Watch You Sleeping (Solo)". Best wishes to you and all the rusted masses.